Latin Ting! contains 100+ drum set & percussion loops, 225MB of 44.1Khz 16bit royalty free audio files categorized by style and BPM. Created by Grammy nominated drummer Genji Siraisi. Latin Ting! 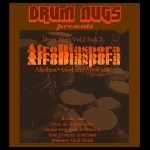 consistst of traditional percussion and drum set rhythms as well beats influenced by AfroCuban, Caribbean, Brazillian and Latin Jazz/Funk grooves. Latin Ting! gives you the gritty authentic vibe of old school Latin and Latin influenced recordings. We hope you enjoy them! and for the discounted price of $10 for anyone who has previously purchased Drum Nugs Vol.1 Beats & Breaks*. Select the $10 discount price option in the drop-down menu above the ‘add to cart’ button. *Make sure to use or indicate the name or Papal account used for the original purchase to receive your discount when making your payment. One Response to About Vol.2 LatinTing!